The Alliance 900 is the best Alliance treadmill in the market today. And unlike other Keys Fitness’ (which is the owner and manufacturer of the Alliance as well as other treadmill brands) mid-priced units, this one comes with better quality, features and specs. 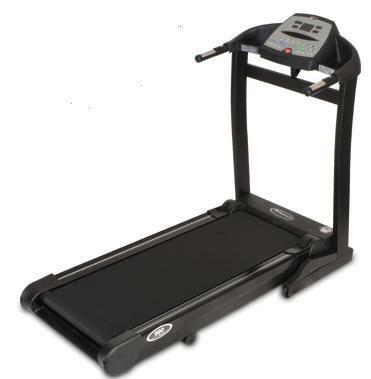 If you’re looking for an affordable yet quality treadmill, then this model might be the one you’re looking for. It is priced below $1,400 and comes with an excellent motor warranty. Compared to the cheaper Alliance 815, this machine is bigger, more stable, and comes with better features. It comes with a big 2.5HP continuous duty motor to give you the intensity you need in your workouts. While the big 20” x 56” tread belt makes sure that you have enough space to run comfortably. The 4 preset, 8 custom and 2 user programs gives you more workout variety and flexibility. Plus, the EKG pulse grip, which is not offered to cheaper models, allows you to run in your target heart rate zone for a more effective workout. Although the quality of this unit is better compared to other treadmills from Keys, it is still not enough to match the quality of other best buy treadmills in its price range. I do recommend the Alliance 900 treadmill. Keys made some improvements in this model’s quality, features and specs, which made it really hard for me not to recommend it. If you plan on buying an Alliance 900 Treadmill, I suggest you locate a dealer through Amazon. It is currently being sold for$1,399.